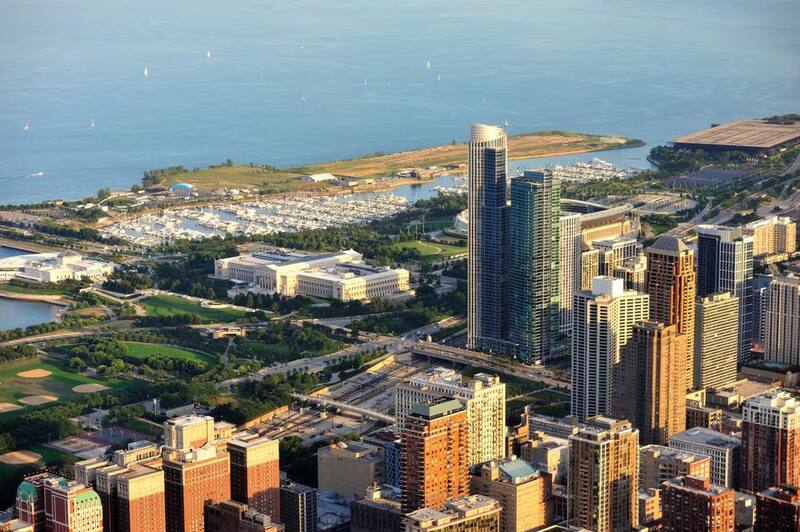 Chicago's Museum Campus, located in the South Loop, was created after a reconfiguration of Lake Shore Drive in 1998. Previously, lanes ran through the middle of the area, dividing it and creating some tricky navigation from the parking lots to the museums. The lanes have been moved to the west, and the major attractions of the Museum Campus--the Shedd Aquarium, Field Museum, Adler Planetarium, and Soldier Field--are all tied together by green space. Some guests staying at nearby properties, such as Renaissance Blackstone Chicago Hotel, Chicago Athletic Association Hotel, Congress Plaza Hotel and Convention Center, Hotel Essex Chicago, and Hilton Chicago, can view the Museum Campus from their rooms. The Field Museum of Natural History has always been a Museum Campus favorite. The Field Museum moved to its current location on the Campus in 1921, courtesy of its largest benefactor Marshall Field (hence the name). The Field Museum's collection of biological, anthropological, natural, and historical items is one of the largest and finest in the world, with more than 20 million specimens. The museum also hosts excellent touring temporary exhibits. Sue, one of the museum's most significant permanent attractions, is the largest, most complete, and best preserved Tyrannosaurus Rex fossil ever discovered. New to the museum is Maximo the Titanosaur, the largest dinosaur that ever lived. You can visit—and touch—Maximo in the museum's Stanley Hall and even snap an all-important selfie with Maximo's head on the second floor balcony. In the early part of the 20th century, millionaire John G. Shedd wanted to give a tremendous gift to a tremendous city. It took seven years and $3 million (the equivalent of $35 million today), and in 1930 the Shedd Aquarium opened to the public. Since then, the Shedd Aquarium has added several permanent exhibits to the main aquarium, effectively doubling its size, and is recognized as one of the premier aquariums in the country. The centerpiece of the aquarium, the Caribbean Reef, is a 90,000-gallon circular tank filled with stingrays, sharks, eels, a sea turtle, and an assortment of tropical fish. A diver hand-feeds the fish and answers questions (while underwater) several times a day. The Oceanarium aims to recreate the peaceful rain forest of the Pacific Northwest, and, with its huge soaring windows overlooking Lake Michigan, you might actually believe you are on the ocean. Don't miss the overnight Asleep with the Fishes event, where you can spend the night (select dates throughout the year) at the Shedd Aquarium. 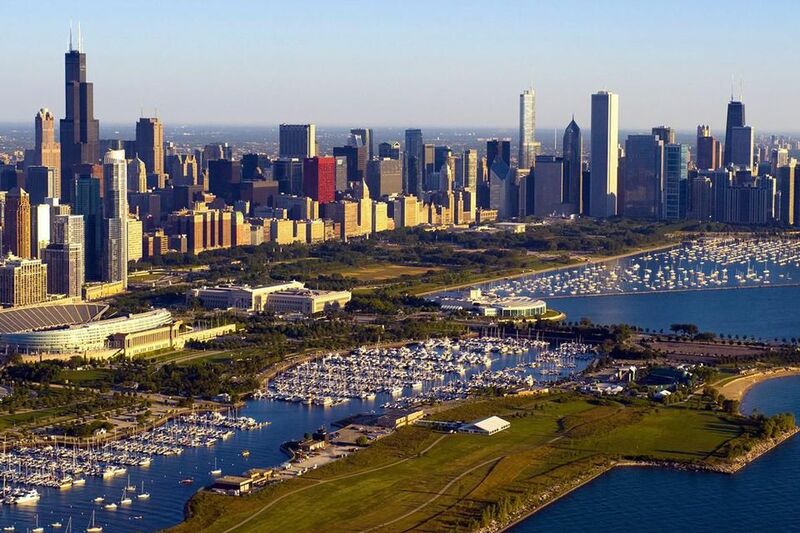 The Adler Planetarium was founded in 1930 by Chicago businessman and philanthropist Max Adler. It is the United States' first planetarium. It's also one of the only ones that features two full-size planetarium theaters. The Adler Planetarium is quite the educational experience and a little reminder of the grandness of our universe. The Doane Observatory at the Adler Planetarium showcases a huge aperture telescope with a 20-inch (.5 m)-diameter mirror that gathers 5,000 times more light than the human eye. The telescope is the largest one open to the public in the Chicago area and is available for viewing for free during "Doane at Dusk", which takes place after regular museum hours on select dates, weather permitting. Soldier Field is an honorary member of the Museum Campus, since the vast majority of the Campus parking is located underneath the stadium's hulking mass. On your way to the Field Museum from the parking garage, you'll walk by the Veteran's Memorial water wall, one of many tributes to American soldiers. (Another is the National Vietnam Veterans Art Museum). Soldier Field underwent a major renovation, completed in 2003, with many critics commenting that it looked like a giant spaceship landed on top of the old colonnades. It was a controversial move that resulted in the National Register of Historic Places stripping the stadium of its landmark designation in 2006. The stadium is also home to the Chicago Bears NFL team. Runners can sign up and train for RAM Racing's timed Soldier Field 10 Mile race, which ends on the 50 yard line inside the stadium. Included in the price is a swag bag, water stations, snacks, a shiny medal and a music-filled after party. This race is a fun way to explore the museum campus and surrounding areas of Chicago.